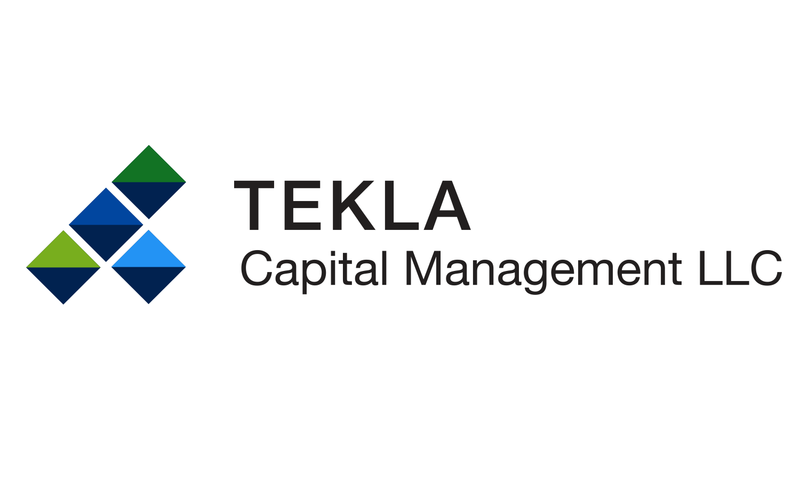 Boston, MA & Lisle, IL – July 31, 2014 – Tekla Capital Management LLC is pleased to announce the successful initial public offering of Tekla Healthcare Opportunities Fund (NYSE: THQ or the “Trust”), a closed-end management investment company managed by Tekla Capital Management LLC (“Tekla”). The Trust priced an offering of 38.5 million shares at a price of $20.00 per share, for a total issuance of $770 million. The total issuance may reach up to $885 million should the underwriters exercise their over-allotment option in full, which may or may not occur. Shares commenced trading on the New York Stock Exchange on July 29, 2014 under the ticker symbol THQ. Investors are able to view the Trust’s net asset value by using the ticker symbol XTHQX. With this offering, Tekla endeavors to build upon the success of their two existing healthcare-focused closed-end funds - H&Q Healthcare Investors (NYSE: HQH) and H&Q Life Sciences Investors (NYSE: HQL). “We believe THQ resonates with investors with its unique strategy that attempts to capitalize on the growing and dynamic investment opportunity presented by the healthcare industry,” states Daniel R. Omstead, Ph.D, President and CEO of Tekla and portfolio manager of HQH, HQL and THQ. “We were very pleased to partner with Tekla, the world class healthcare-focused investment manager, to expand the healthcare investment opportunities currently available to investors with the launch of THQ,” states Dominic C. Martellaro, Co-Chairman and CEO of Destra Capital Investments (“Destra”). In addition to their efforts to raise assets during the recently completed IPO, Destra has been retained by the Trust to provide investor support services in connection with the ongoing operation of the Trust. THQ’s investment objective is to seek current income and long-term capital appreciation. Under normal market conditions, the Trust expects to invest at least 80% of its managed assets in U.S. and non-U.S. companies engaged in the healthcare industry including equity securities, debt securities, and pooled investment vehicles. THQ’s portfolio will be dynamically allocated among investments in the various subsectors that comprise the healthcare sector. The lead managing underwriters of the offering were Wells Fargo Securities, LLC, Morgan Stanley & Co. LLC, UBS Securities LLC, Raymond James & Associates, Inc. and Ameriprise Financial Services, Inc.
Tekla, the Trust’s investment adviser, is a Boston, MA based healthcare-focused investment manager with approximately $2 billion of assets under management as of July 31, 2014. Tekla also serves as investment adviser to H&Q Life Sciences Investors (NYSE: HQL) and H&Q Healthcare Investors (NYSE: HQH), closed-end funds that invest in companies in the healthcare industries. Information regarding the aforementioned funds and Tekla can be found at www.teklacap.com. Destra, the Trust’s marketing and investor support services agent, is a Lisle, IL based investment management firm. Destra connects financial advisors with innovative investment theories and uniquely positioned asset management products. With an experienced management team and specialized asset managers that confidently take the long view, Destra’s goal is to rise above fleeting market statistics towards the opportunity for long-term returns. Please contact Destra at 877.855.3434 if you have any questions regarding THQ. For more information regarding Destra, please visit www.destracapital.com. Shares of closed-end investment companies usually trade on a national stock exchange, and these shares frequently trade at a discount to their net asset value, which may increase investors’ risk of loss. Tekla Healthcare Opportunities Fund is a newly organized, non-diversified, closed-end management investment company with no operating history. Investors should consider the investment objective and policies, risk considerations, charges and expenses of THQ carefully before investing. For a prospectus which contains this and other information relevant to an investment in THQ please contact your securities representative. Investors should read the prospectus carefully before they invest. There can be no assurance that THQ will be able to achieve its investment objective or structure its investment portfolio as anticipated. This document is not an offer to sell securities and is not soliciting an offer to buy securities in any jurisdiction where the offer or sale is not permitted.